You know what they say, sharing is caring. And sharing exciting adventures together as a family is the best way to build a solid base for a long-lasting relationship. The experiences planned for this new year will leave you with fun and unforgettable memories that will last forever! We have prepared different activities aimed at the whole family, in different seasons and out in the countryside. Be prepared to hike, snowshoe, snowball, sled, see magnificent flowers blossoming, learn to find and harvest wild medicinal plants and pure aromatic herbs. Splash in the water with paddle surf, kayak as a team and enjoy a whole sailing day that you’ll never forget. 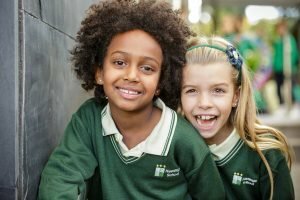 Please use the form at the bottom of the page to book these activities. Who – Children from 3 years old and up with snowshoes (under that age in baby or hiking carriers), seniors. Not accessible to strollers. Walking with snowshoes and sledding is super fun for them. Parents with small children can carry them in a baby or hiking carrier, or pull them along sitting on a sled, they love it! At one point we divide the group into two. Those adults who wish to do a longer route, go up the mountain with a guide. At the same time, the children and adults who want to can collaborate in the construction of an igloo. And they spend the end of the day before dinner sledding down the mountain, what could be more fun??!! This is already a winter classic, which we continue to offer because it is a favourite for adults and children. Depending on several factors, we will go to either the Puerto de Cotos, Puerto de la Morcuera, Puerto de Canencia or Puerto de Navacerrada. We will spend the day in a beautiful environment, off the beaten track, away from the weekend crowds, to find our own white paradise in the mountains. 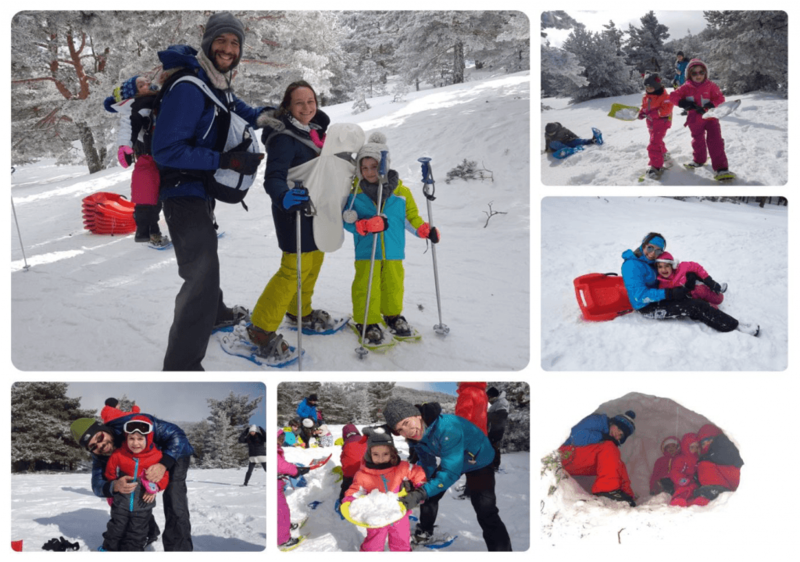 This is a varied and fun activity in a fairy tale landscape, where we will walk with snowshoes as a family, build an igloo guided by an expert mountaineer, slide downhill on our sleds and finish up eating a delicious meal in a mountain restaurant. An adventure in the purest Nordic style! *The trip will take place depending on snow conditions and availability. It may be postponed to a later Saturday in February. *How to get there: Bus departing from the school. *Food: We’ll eat a healthy warm mountain menu – for example a casserole or broth and some entrees, but the exact menu will be determined closer to the date. Not included. Who -Adults and children from 2-year olds and up, seniors. Accessible to strollers. Very young children will be accompanied by an adult (their father or mother) leading the horse by its reins. They can try first in the enclosed area of the centre, in total safety and tranquillity, and, when they have gained confidence, they can carry on through the field, a straight and flat line in between the trees, without any complications or detours. It is a real pleasure to observe how little ones lose their fears and learn to ride without worries! They can also visit the stables and even give the horses a carrot! 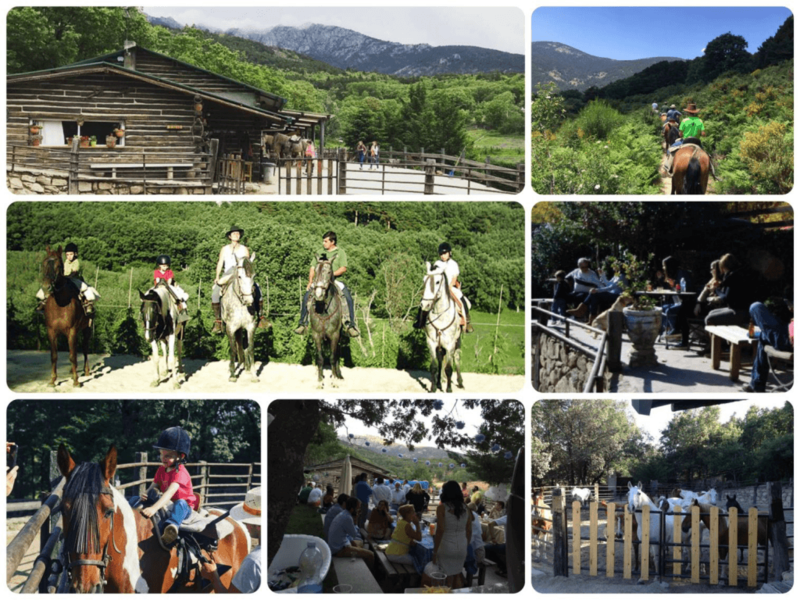 We will go to a beautiful horse-riding centre, hidden in the middle of the Guadarrama National Park, in Cercedilla, run by a very friendly family. A day in which the youngest children can ride a real horse while the older children, and adults, will ride in the countryside according to their level. Perfect for beginners and for the most advanced riders! After we’ve finished we will have a great barbecue, with plenty of side dishes and even grilled veggies! The area is very wild and beautiful, with magnificent views. It is an excellent way to get to know the National Park from a totally different angle, away from normal tourism. 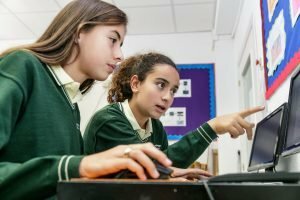 Kids will have the time of their lives. There will be trees to hang from like monkeys, creeks to splash in, rock walls to climb up and descend rappelling, a dry cave that can be travelled for varying distances and with quick exits… From the most timid to the most daring they’ll all have the best time! The path that connects the town of Patones de Abajo with the beautiful town of Patones de Arriba is a gorge where we can enjoy a cave, initiation level, without any danger, suitable for all ages. Wearing helmets and frontal lights the little ones will be amazed and the parents will be entertained, all in total safety and with an easy exit at any time if someone is ‘overwhelmed’. And, for extra excitement, while some people visit the cave, others will try their skills rock climbing in nature and going down in very simple, but no less exciting, rappels. This is always with the help of specialized instructors and accessible to all ages. 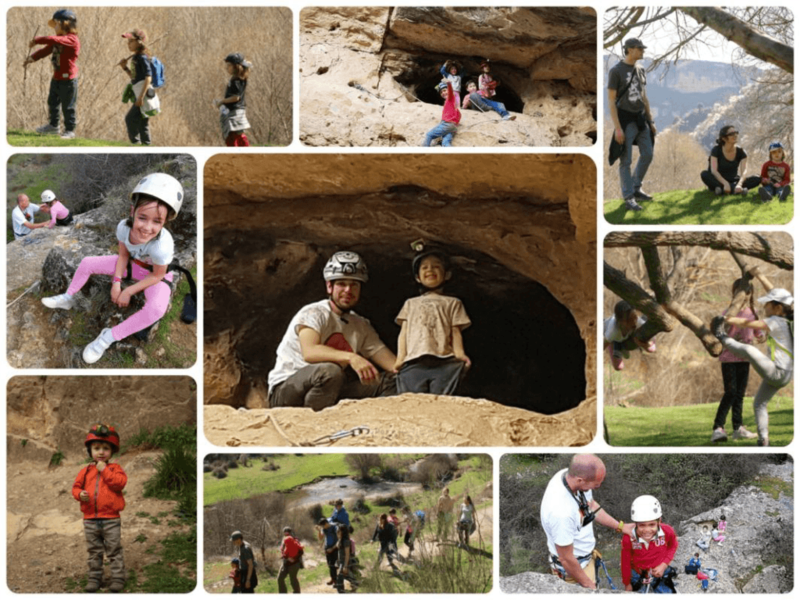 An ideal way to share a most adventurous family day before going for a picnic on the banks of the Lozoya River, near the Pontón de la Oliva dam, a majestic enclave that retains all the charm of the places of legend. *How to get there: Everyone will come in their own vehicle. 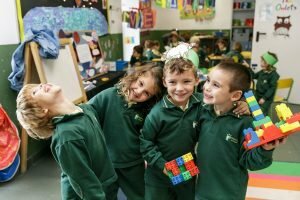 Who – Adults, seniors and children from 2 years old and up. Below this age please consult. Accessible to strollers. 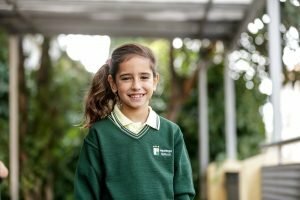 Wearing a life jacket, riding a motor dinghy, steering a sailing boat, changing the sails, paddling a kayak or simply sitting with their parents to go on an adventure, swimming on the beaches of the lake, playing outside while the grown-ups eat … it’s nothing less than the best day of their lives! 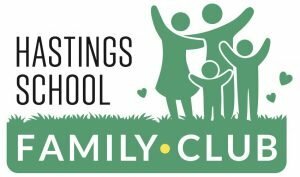 This is one of our classic summer activities that is a total hit for both children and parents. 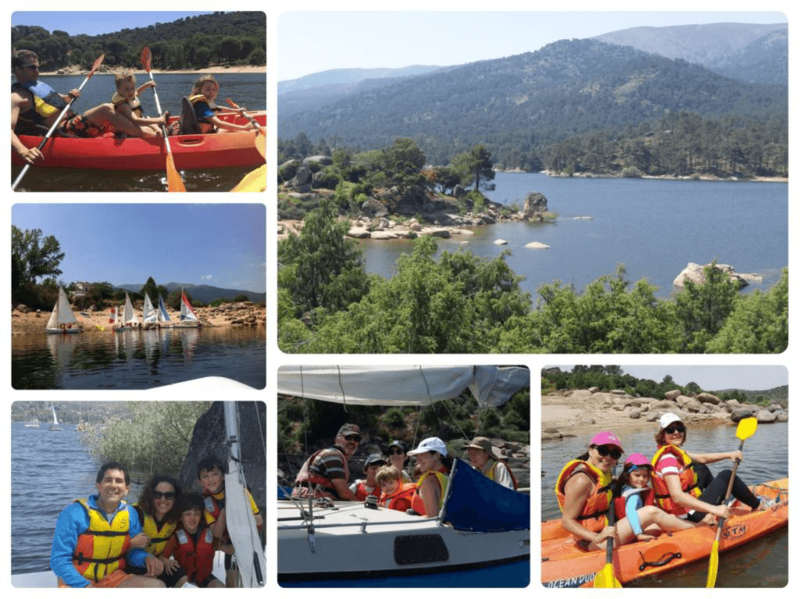 We will spend the day learning to sail on 6-people sailboats, with an instructor on board, and then kayaking alongside the beaches, all in the most idyllic reservoir near Madrid, the Embalse del Burguillo, in the centre of the Natural Reserve of Iruelas. Here you can still enjoy a lake without crowds. Initiation to sailing (2h) and kayaking route (2h), with a great outdoor paella in-between. It is a perfect day of water and countryside. * Optional lunch menu at the sailing premises overlooking the lake. A special weekend for families, designed from A to Z so that both adults and children of all ages, have a great time. 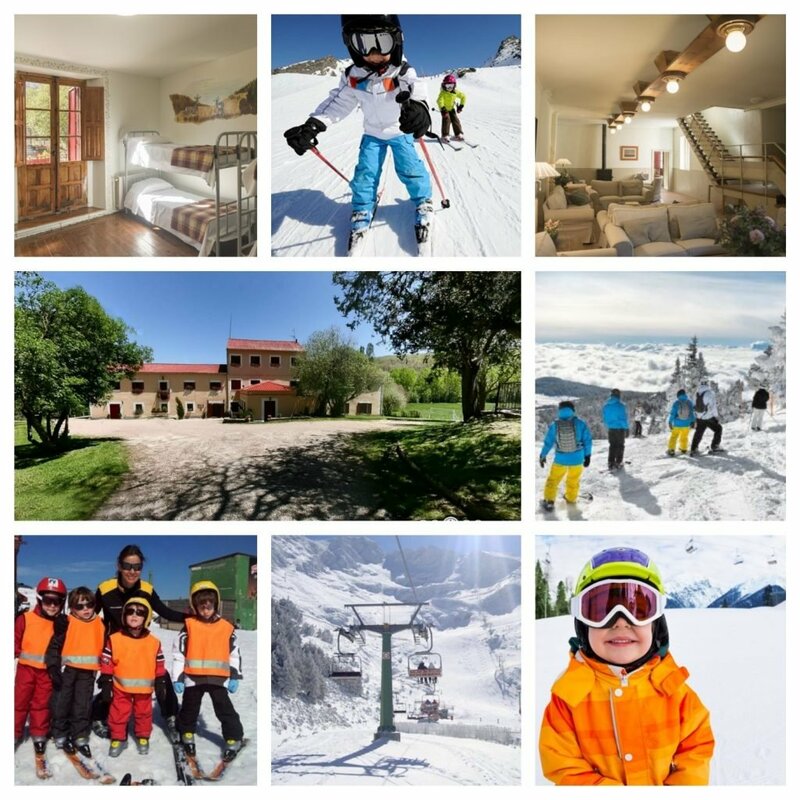 A quiet and natural environment, rustic but cozy accommodation, ski lessons or snow garden from 3 years and up, pedestrian lift pass for non-skiers, activities for children in the afternoon and even caregivers at night so that parents can relax and socialize with other parents! 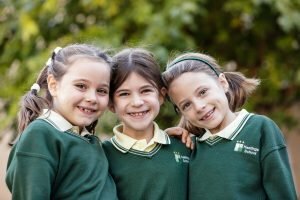 The payment for those parents that haven’t got the direct debit established could make the payment three days before the outdoor activity via transfer into the school account ES53 0182 2325 05 0204020301, writing the concept, name and date of the activity. We kindly ask you to understand that these terms are crucial for the activities to happen, as the money is used to make non refundable reservation payments. If the family is not sure of being able to attend and does not want to risk losing the money already paid, it is advisable to wait until they are 100% sure, even if registering later may mean losing the spot.